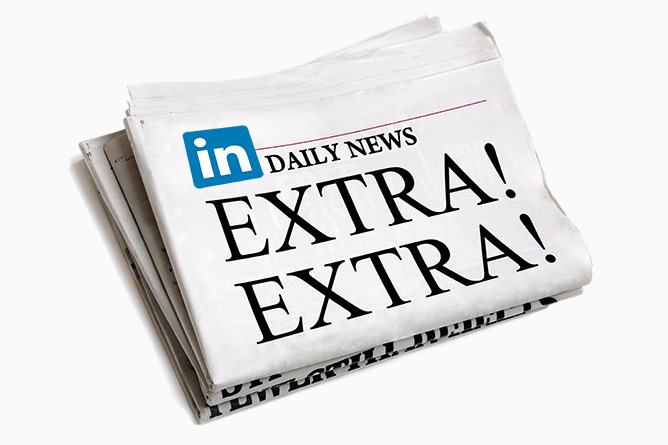 Today the Personal Branding Blog covers the need to write a compelling LinkedIn headline. I agree with the premise. Your headline is one of the most important things about your profile. You could spend hours writing great content but the headline is what most people will see when they search. They’ll scan it quickly and then they’ll decide whether to read the rest of your profile, or just move on to someone else. But I disagree with the advice given on exactly how to write a strong headline because I think it fundamentally misunderstands the target audience for your profile and how to impress them. To me that just sounds cheesy and overly self-promotional. I don’t think that experienced recruiters or senior hiring executives are interested in this kind of ‘resume speak.’ I think they want to know who you are and what you’ve done. They’ll decide whether they think you’re a visionary after they’ve spoken to you – you’re never going to convince them of it on LinkedIn! This headline tells a recruiter all he needs to know to click through and learn more … and it does it without being icky and boastful. As you build your LinkedIn profile, remember that recruiters don’t give two hoots about your “personal brand.” They only care about whether you fit the criteria for the position they are currently trying to fill. Use the headline to make sure they know that you do! 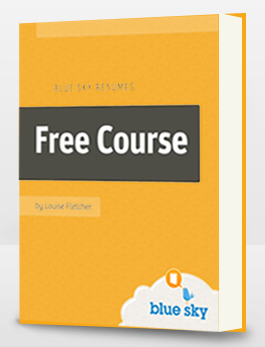 PS: If you are ready to really get the most out of LinkedIn, check out The Blue Sky Guide to LinkedIn. This downloadable e-book takes you step-by-step through the site, with detailed instructions and screenshots on everything from setting up an effective profile through making connections all the way to understanding the many additional benefits the site has to offer. Once you learn how to use LinkedIn properly, you’ll never leave. Great blog Louise – makes such common sense! You’re spot on with this. I wouldn’t use the words “Visionary Results-Driven Senior Sales Executive” on a resume. Why would they be a good idea for a LI profile? I find those that have to TELL me they’re visionary usually aren’t. Clear, succinct headlines, shored up by solid a demonstration of visionary prowess wins hands down over fluffy, over-used adjectives. @Will, Thanks. I like the summary on the page you linked to. Simple, direct and straightforward. Good job! @Dawn Bugni, thanks for stopping by. I agree with you on resume language too. I’m pushing myself more and more these days to focus on hard facts and evidence, even in the resume introduction. As with so many things in the realm of career-hunting: directness and honesty trump self-agrandisement and floweriness. I find that clients often fear that if they sound “ordinary”, they won’t stand out from the crowd. I have to remind them that they don’t want to stand out for being something they’re *not*, so they should just stick to explaining – clearly and concisely – who they really are. I disagree with the idea of putting “15+” in the headline. There is no need to emphasize that this person might be older than someone a few years out of school. That number is not doing anything for you. When was the last time you saw this in a job listing. Matthew, I couldn’t disagree more. This person is a senior executive. Those postings do include years of experience and those recruiters do look for that. Someone a few years out of school wouldn’t be in the running for this level of position. I absolutely used to look for years of experience when hiring at this level and so do others. I believe honesty trumps arrogance any day! So how do I get them to see me as more than just a volunteer, it’s all I’ve done since I started uni and I can’t afford to associate with my old career; counselling psychology is too different from editing! Great blog, I loved it, Keep sharing this type of info. thanks, now my resume won’t sound icky. This just saved me today! Thank you for these tips!